Tom started out his career in Scotland where he completed his Dental Degree at the University of Glasgow and then his Medical Degree at the University of Aberdeen graduating with Honours in 1998. He went on to complete further general surgical training and completed his fellowship in general surgery (FRCS) at the Royal College of Physicians and Surgeons of Glasgow in 2000. Prior to this he had already completed the Fellowship in Dental Surgery at the Royal College of Surgeons in London. 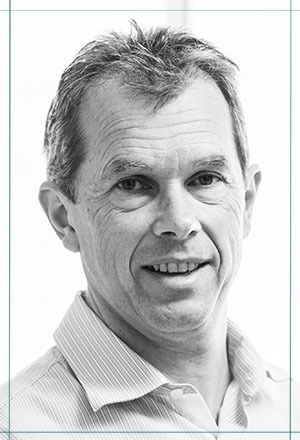 Tom moved to Melbourne with his Australian wife in 2000 and then completed more training in Oral and Maxillofacial Surgery and attained the FRACDS(OMS) in 2003. Since then Tom has held public appointments at Monash Medical Centre, Dandenong Hospital, The Austin Hospital, St Vincents Hospital and the Royal Dental Hospital. Tom started in private practice in Collins street in 2003 and continues to work out of the same practice as well as at some branch practices. Tom is a member of the Australasian Association of Oral and Maxillofacial Surgeons (ANZAOMS) and the International Association of Oral and Maxillofacial Surgeons. He was on the National council of ANZAOMS for 3 years (2006 – 2009) and was chair of the organising committee for the National conference in Melbourne in 2011. Tom attends International and National conferences regularly to keep in step with current practice in his specialty and he has made contributions as a speaker at several such conferences both at home and overseas. The specialty of Oral and Maxillofacial Surgery focuses on surgical procedures of the mouth and jaws. From simple dental procedures such as Surgical extraction of teeth and wisdom tooth surgery, to more complex orthognathic surgery where the jaws are moved in 3 dimensions to reposition them to correct a malocclusion (bad bite). Tom practices the full range of procedures performed by Oral and Maxillofacial Surgeons, patients are usually referred by General Practitioner dentists or doctors and other specialists such as orthodontists, prosthodontists and endodontists. Procedures are carried out either in the rooms under Local Anaesthetic or in a hospital usually under General Anaesthesia (asleep) or with Intravenous Sedation. Tom works closely with several Anaesthetists who provide the specialist anaesthetic care for all hospital based procedures. Surgical Dental Extractions including wisdom tooth surgery. Orthodontic tooth exposures to uncover teeth which have not erupted naturally. Grafting procedures in preparation for dental implants. Soft tissue surgery around the mouth, biopsies and removal of lesions. Trauma management of broken jaws. Experience is the key to running a good practice and we have a team of professionals who make patient care their top priority. The combined experience base of the administrative and clinical staff is in excess of 50 years. Our team of 5 includes one full time secretary, one full time nurse and three other part time staff who cover administrative and clinical duties. When you call to book an appointment or to make subsequent appointments or to organise follow up care - you can be assured that the person handling your call will have your best interests at heart. The practice is run from the main rooms at 20 Collins Street. You can find more details below. Surgery under Local Anaesthesia (awake) is performed at all locations with the exception of Manningham Medical Centre where only consulting and General anaesthetic procedures are carried out. We'd love to speak to you, get in touch! Tom Sunderland Oral and Maxillofacial Surgeon © 2017 All rights reserved. TemplateMonster Design.